Access remote computers on the go with the TeamViewer: Remote Control apps for Android, iOS, Windows 10 Mobile, Windows 10, and BlackBerry. Use your mobile device to provide spontaneous support or to remotely access an unattended computer. For commercial use, please observe these licensing notes. 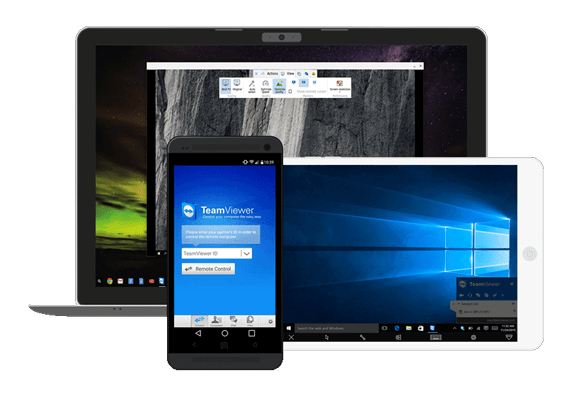 Install TeamViewer QuickSupport on your mobile device to enable licensed TeamViewer users to connect to your Android, iOS, or Windows 10 Mobile device to provide you with assistance. Please note: To connect to Android, iOS, or Windows 10 Mobile devices, a user must have the support for mobile devices license AddOn. 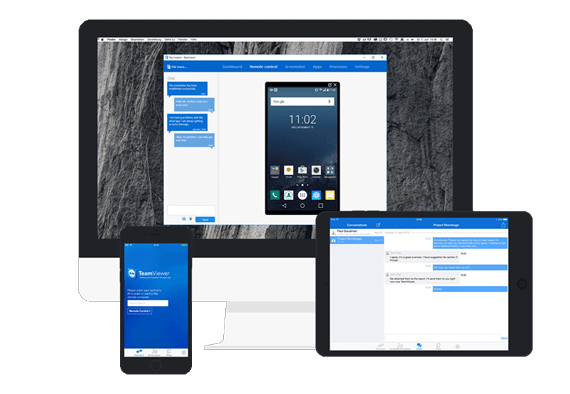 The TeamViewer Host app allows you to remotely control unattended Android devices. A connection is therefore possible even when the device is not being actively used. Finally, with TeamViewer for Meetings, you can use your Android or iOS device to join meetings. Never miss a thing, even when you’re on the road.